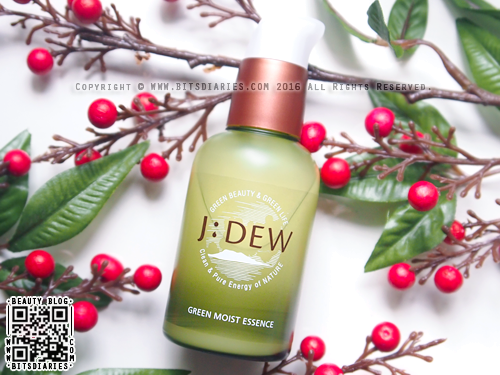 Recently, I was sent the J:DEW Green Moist Essence to review from Q-Depot — an online store that sells Korean Skin Care and Cosmetics. 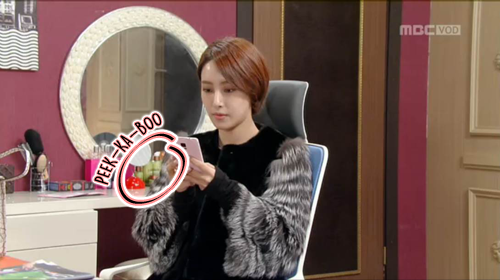 J:DEW is an eco-friendly brand from Jeju Island owned by J'ERS Co., Ltd.. It aims to bring health and beauty with natural green ingredients sourced from the pristine Jeju Island, which is best-known for its refreshing breeze, clean water, and warm sunshine. The "J" in the name symbolizes the clean and pure Jeju Island, and the "DEW" means clear and clean image. So basically, J:DEW aims to create a clean, clear and healthy skin. 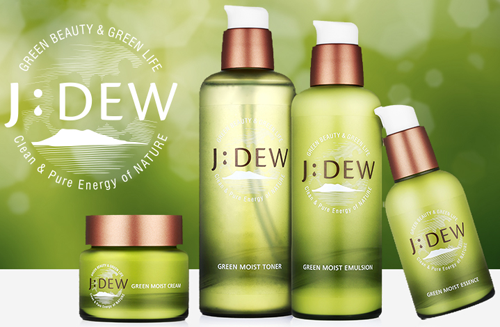 The whole J:DEW Green Moist range is designed for dry and dehydrated skin. It is formulated with a 6-FREE System: Parabens, Mineral Oils, Animal Derivatives, Artificial aromas, Artificial Colorings, and benzophenone. Hence, this range is safe for even very sensitive skin. Fun Fact: J:DEW Green Moist range has been featured in Korea's MBC Drama "The Legendary Witch" (전설의 마녀). Without further ado, let's begin the review of the J:DEW Green Moist Essence. J:DEW Green Moist Essence is formulated with organic aloe vera and green tea grown and harvested from the clean soil of Jeju Island. It goes on like a refreshing burst of water, infusing the skin with abundant moisture that instantly restores suppleness and smoothness. It also contains antioxidants from the broccoli extract that helps to protect skin from damage. Combined with moisturizing shea butter, it nourishes and adds an extra boost of moisture, turning dry and rough skin into rejuvenated and radiant skin. What's more, this adenosine-containing essence also helps to restore firmness to your skin, reducing the look of fine lines and wrinkles. 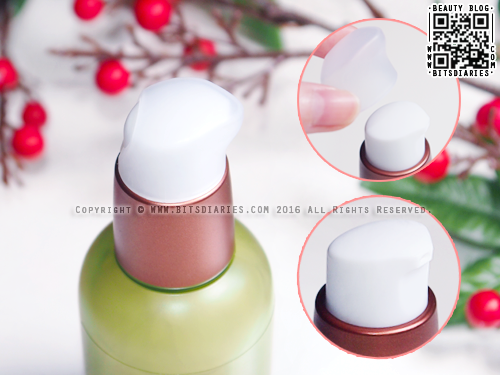 It comes in a plastic bottle with a pump lid, and it also comes with a safety cap to prevent accidental pump/leakage. The essence has a light watery texture that gets absorbed into the skin. It smells like lavender, which is very calming and relaxing. I LOOOVE the scent so damn freaking much because lavender is my favorite flower ♥ hehe~! After toner, apply 2-3 pumps gently onto your skin. It definitely quenched my skin's thirst! 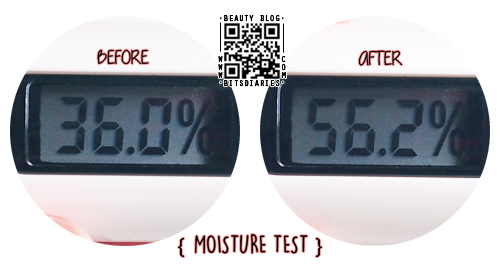 After just two weeks of use, I can tell my skin feels softer and more supple than before. I used to experience dry flaky patches on my cheeks and right now, such problem has been resolved. I also noticed makeup glides on more smoothly afterwards. I like how it helps to perk up and hydrate my dull, tired-looking skin, leaving my skin glowing and feeling recharged. What I love about this essence is it's texture! It doesn't leave a sticky or greasy residue once it gets absorbed. I'd say it is light enough to use on oily skin, and also great to use in the summer. As this product is designed for dry and dehydrated skin, I'm quite worried that it might cause my oily, acne-prone skin to breakout; but so far, I haven't experienced any adverse effects. Well...I think it's still too early for me too comment on this. I need more time to be sure, of course. So I will update you guys in the future. Overall, it really works deep into the skin to intensely moisturize from within. Perfect for those who needs a boost in hydration. 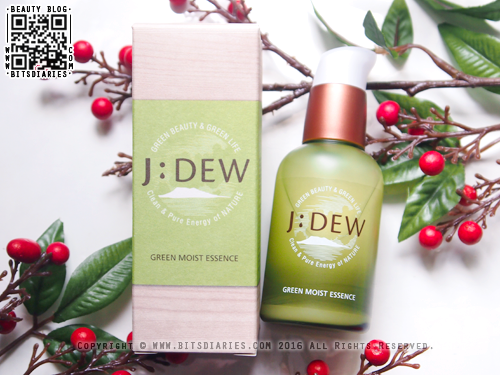 J:DEW Green Moist Essence is now available in Q-Depot at the price of USD$22.90. For your information, Q-DEPOT carries more than 15,000 products from 25+ Korean brands, including cruelty-free brands like Etude House, Laneige, Mamonde, Sulwhasoo, IOPE, Hera, Innisfree, NoTs, and yet counting. 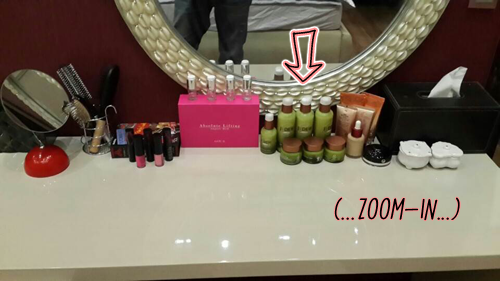 All products they sell are 100% genuine and fresh, directly shipped out from Korea. What's more, they ship worldwide! They offer a very low flat shipping rate starting at USD$2.99 and free worldwide shipping for orders above USD$69.00. In addition, you will receive free USD$25 coupons when you register an account with them.